Hobart’s finest, the supreme Tasmanian devils known as Psycroptic, will bring their massive and masterful tech death spectacle to the US in April and May of this year. Their latest 2018 album, As the Kingdom Drowns, was a critical gem and the best album they made since 2008’s Ob[servant]. Psycroptic will bring some serious and diverse support with them as opening bands. Psycroptic are one of the best technical death metal bands out there. Having seen them three times in three different-sized venues, I can personally attest to their tightness, their energy, and their engagement with the audience. Gorod, from France, also play tech death and also consistently earn the praise of critics everywhere. They lean towards a more atmospheric than riffy sound compared with the tour’s Australian headliners, making a suitable balance for the bill’s latter half. 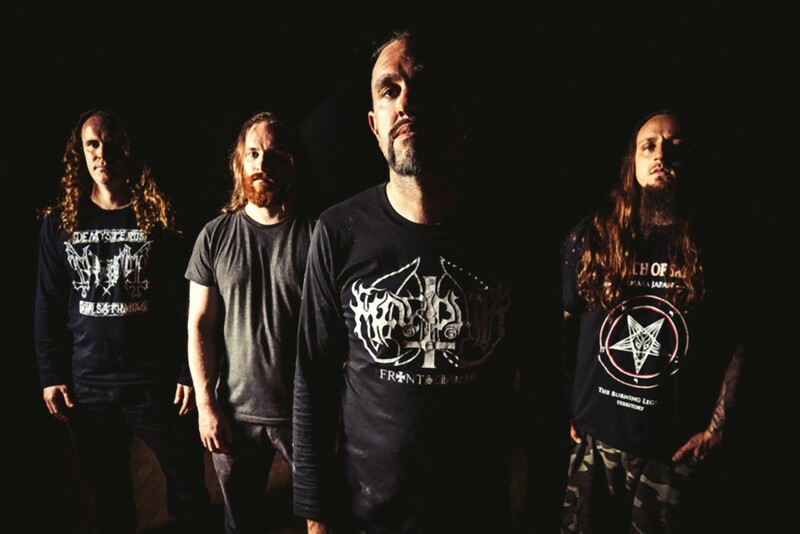 For those who have not already caught the (cough) buzz, Cannabis Corpse are a traditional death metal band from Richmond, VA that contains members of Municipal Waste and other bands from that city, with a decidedly ‘smokey’ lyrical concept. Their song titles are especially funny for fans of 90s death metal. And the music is not half-bad either. Wisconsin’s Micawber play melodic death metal, adding some sweetness and dynamics to round out an otherwise very brutal bill. No date has been set for the availability of tickets at this time of writing. Check local listings and follow the bands’ social media pages for further announcements. Previous PostMono - "Nowhere Now Here"